Orlando, Fla. – Crossman & Company welcomes Marc Cook to its Orlando office, where he will be responsible for new client development. Marc joins Crossman & Company with 15 years of experience in managing relationships centered in commercial real estate, banking and investments. 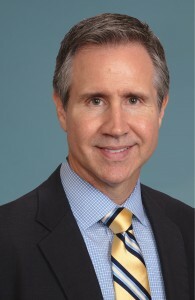 He most recently served as national real estate manager for Rotech Healthcare Inc., where he managed a nationwide commercial real estate lease portfolio consisting of 400 patient service centers, billing centers, distribution sites and corporate offices that totaled 2.2 million square feet. He was responsible for lease negotiations, site selection, construction project coordination and facilities management. Marc is a certified financial planner and has a State of Florida Real Estate Sales Associate License. “We are excited to have Marc join Crossman & Company. His experience in both commercial real estate and the financial market provides the foundation needed to generate value for our clients,” said Crossman & Company President John Crossman.